Forests are the dominant and characteristic land cover in Acadia. Spruce-fir forests mix with deciduous hardwoods like red oak, American beech, red maple, and paper birch. Part of the reason for this diversity is Acadia’s location in a transition zone between southern and northern climates, and many tree species are at the northern or southern edge of their range. Even more tree species reach their northern limits just to the south of Acadia. As temperatures continue to warm, these trees may begin to take root in Acadia, but it remains unclear where and how these shifts will occur. 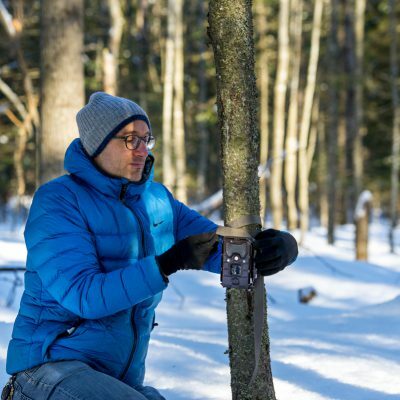 A key factor affecting how rapidly and successfully tree species move is their interaction with seed-eating animals such as birds, mice, voles, and squirrels. 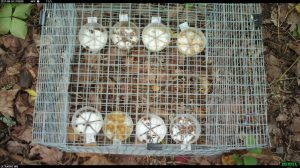 Rodents can harvest up to 95% of cones or seeds available in their territory—thousands in a single season—and by selecting specific seeds and rejecting others, rodents can alter entire forests. 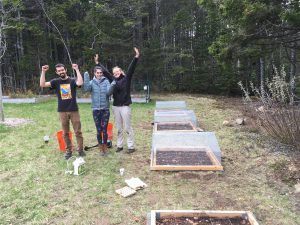 “As the primary seed predators and dispersers in forest ecosystems, they will play a major role in determining which plant species will successfully grow in Acadia,” said Mortelliti, an assistant professor in wildlife habitat conservation at the University of Maine. Mortelliti studied how mice and squirrels will react to unfamiliar seeds and nuts as different tree species come into the forest. Do they eat these novel foods or ignore them? Do they take them and hide them for eating later? 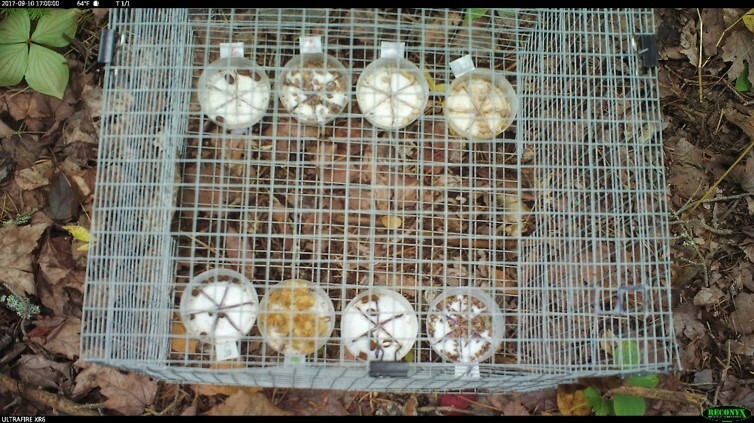 He designed experiments to test these potential future interactions, setting out plates of tree seeds in cages with infrared cameras to capture the predators and their decisions. He also tagged some seeds to track how far away the rodents carried them. 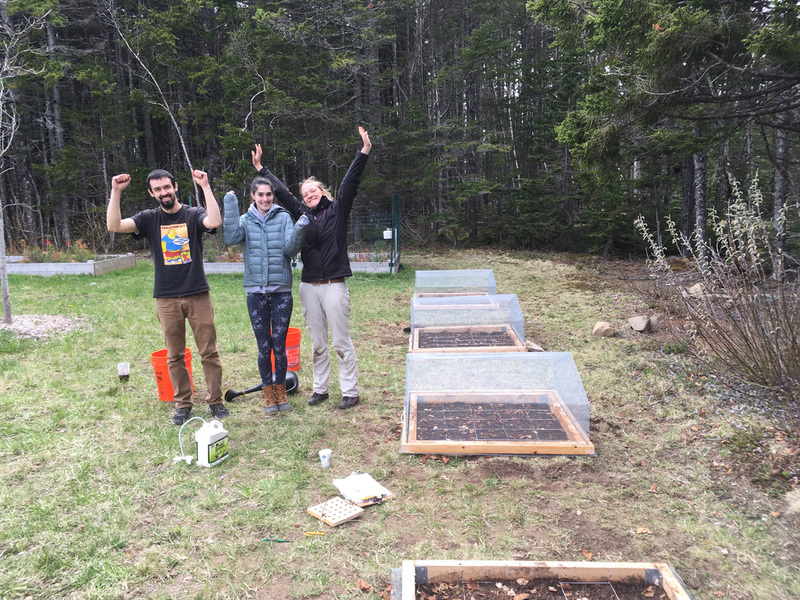 Of the “future” trees, rodents in the experiments preferred several oak and hickory seeds—even more than seeds they regularly encounter like balsam fir and white pine. The preferred seeds were generally larger, with a thicker, harder shell. Although the rodents preferred to eat these seeds, they also “cached” or stored these seeds farther distances, thus aiding the potential migration rate and distance for some of the southern tree species. 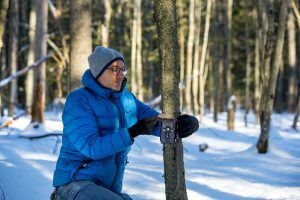 Park managers now have a checklist and traits of trees that will be favored or impeded in their expansion, and a more complete picture of how Acadia’s forests might change in the coming years. With its visual aspect and familiar animal characters, Mortelliti’s research lends itself well to communication, and he is working with students to develop videos about the science and findings. 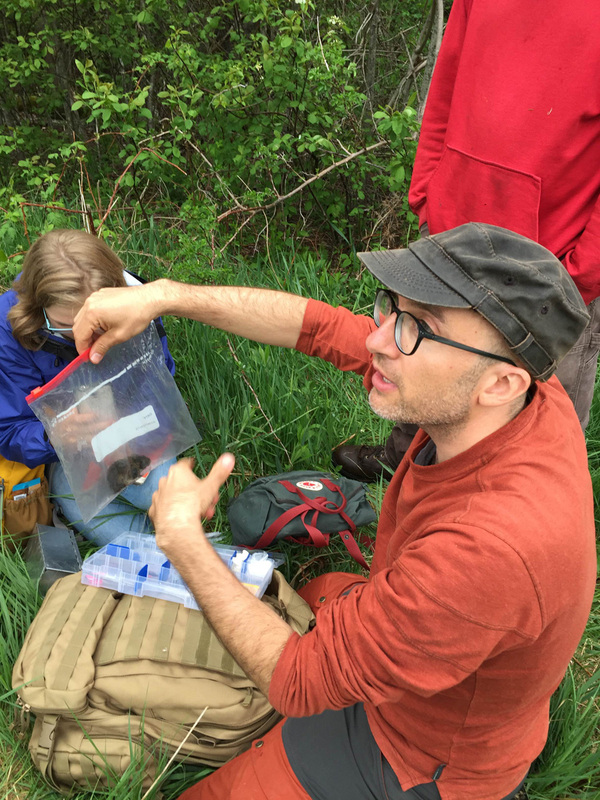 He also is developing a follow-up citizen science project on squirrels and seed predation. Watch Alessio Mortelliti’s presentation HERE.